The bone grafting procedure can range from very small repairs on a single tooth, to complete volume repair of an entire jaw. 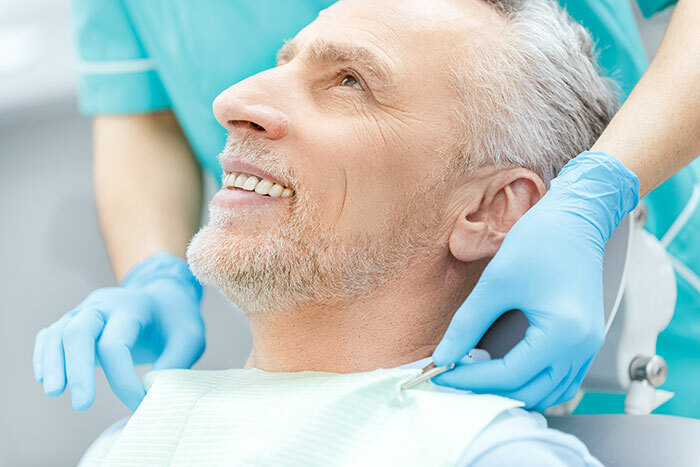 When bone around teeth is damaged, a procedure called bone grafting is sometimes necessary to help save and rebuild the support. This helps to supplement the bone mass of a patient’s jaw to improve a tooth’s support and ultimately retain it as long as possible. A patient’s need for bone grafting will be identified at the exam and by a thorough evaluation of their pre-surgery x-rays. There are many types of materials and procedural techniques. There are four types of bone grafts: autograft (taken from the patient), allograft (human donor), xenograft (animal donor) or synthetic (non-biologic). The bone grafting procedure can range from very small repairs on a single tooth, to complete volume repair of an entire jaw. Depending on the patient, the location and the size of the graft, the maturation time varies greatly. Dr. Augustine will advise you of your specific healing times. After initial healing, the graft will need several weeks to several months to mature and integrate with your existing bone. Follow up re-exams will be necessary to ensure success. Dr. Augustine will explain the types and procedures to you at your consultation. This is a very important step in achieving a healthy and stable smile.